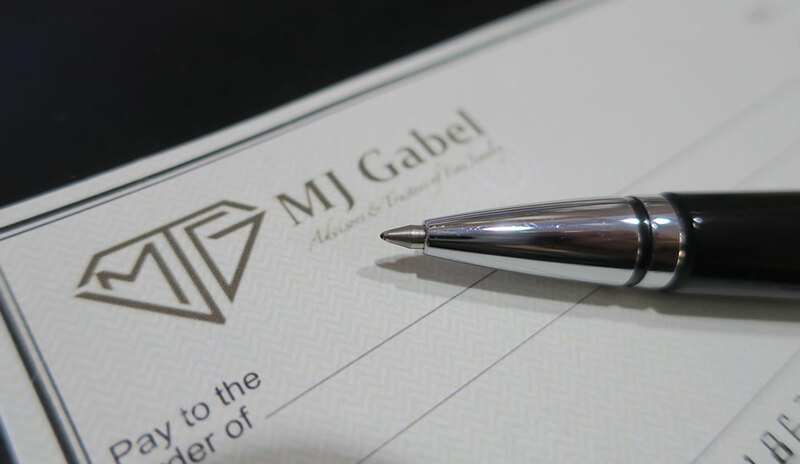 The personal attention that MJ Gabel offers begins the very moment you, the client, speaks with one of our diamond specialists. Even if you know very little about the diamond or other jewelry you are considering selling, our diamond experts will take you step-by-step through all of the options available to you including how much you can expect to earn with each option. The process starts with you speaking directly with one of our diamond specialists to go over your jewelry and all your expectations and needs. We need to get to know you, your situation, and your jewelry. You can click here to get started or call us today at (585) 598-1090. You can also email us at info@mjgabel.com to get connected. The next step in the process is better understanding your jewelry. 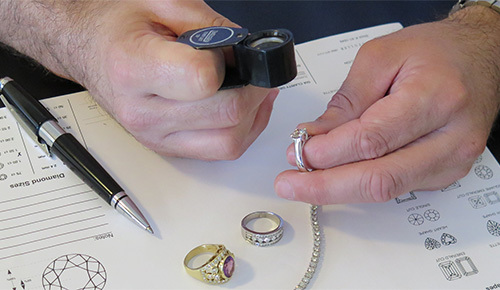 Our review process is done through a risk-free, no-obligation review and appraisal of your jewelry. 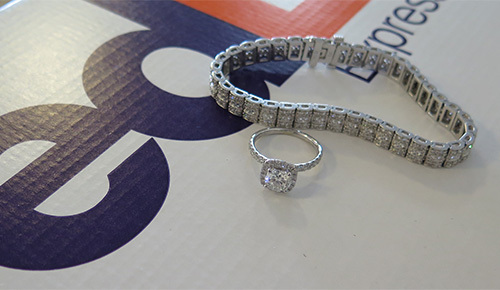 This review begins through a risk-free FedEx shipment of your jewelry to us with complete insurance coverage. This entire process is provided at no cost or obligation. If you happen to live in the New York area we can schedule a time to meet in person. Your personal GIA certified diamond jewelry expert will call you to go over your all of your options and work with you to determine what makes the most sense for you and your specific life situation. Once we share all of your options and how much you can earn it is then up to you to decide how you’d like to proceed. A cash purchase can typically be turned around within 24hrs with a wire or check on its way to you. Our priority is making sure you get your money as soon as possible. After speaking to one of our specialists, it is important for us to view the diamond you have so we can accurately grade it, weigh it, and confirm its characteristics. 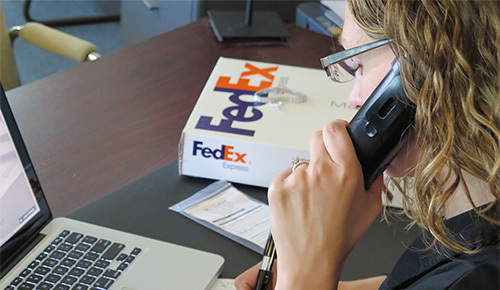 This can be facilitated in a variety of ways; we will happily meet with you in the comfort of your home, one of our offices, or send out proper packaging and paperwork for you to securely ship us your diamond. Once your diamond has been accessed, our specialists will be back on the phone with you to collaborate the best decision on how to maximize the value of your diamond jewelry. It is our job to assist you in finding the best outlet for the sale of your diamond, and our work is not complete until that sale is finalized by you. I had a wonderful experience with Anne at MJ Gabel. After careful consideration I decided to sell a very beautiful diamond that was rarely worn and work with MJ Gabel and use their services. My experience from start to finish was very positive. Anne and MJ Gabel are honest, trustworthy and very professional and helpful. I was put at ease immediately and knew I had made the right decision to work with them. I will definitely use MJ Gabel again and refer family and friends. Anne is a true gem in this business ! Double check that the company you are working with has a physical address associated with the business, and cross-reference that address with the BBB etc.